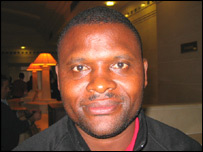 Jacob 'Ghost' Mulee has agreed to take temporary charge of Kenya's national side. Mulee, who was sacked after the 2004 African Nations Cup finals after criticising officials of the Kenya Football Federation, will handle the side during the four-nation LG Cup tournament that starts on 27 December. Kenya take on Egypt in the opening match, with Ecuador facing Senegal in the other. The winners of both matches will face themselves in the final on 29 December, with the losers of the opening games playing the third-place match. Denis Oliech, the 21-year-old striker who recently joined French first division side Nantes, has been called up by Mulee for the competition. The decision of Mulee to return to the Harambee Stars puts the future of erstwhile coach Mohammed Kheri in doubt. Kheri, who failed to lead the East Africans to next year's Cup of Nations, has not been paid his wages for several months.